It's so true, isn't it, that many of the best movies are screenplays based on novels? Like the two recent hits The Perks of Being a Wallflower and Silver Linings Playbook. Or (going back a ways) Stand by Me and The Princess Bride. And many, many others. 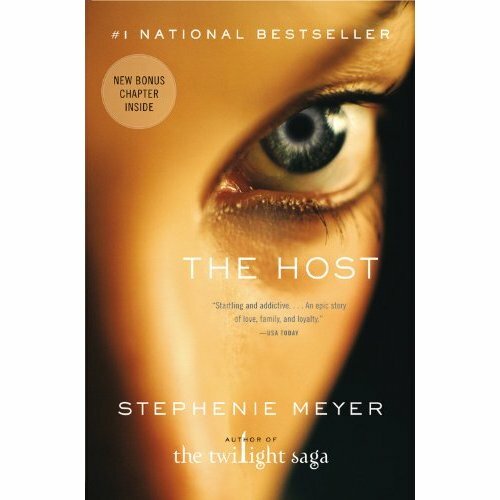 Check out The Host trailer here. Ooh, Beautiful Creatures looks so good in this trailer! And let's not forget Warm Bodies by Isaac Marion - in theaters tomorrow!! Scary, funny, and surprisingly poignant, Warm Bodies is about being alive, being dead, and the blurry line in between. (from amazon.com). Preview the Warm Bodies trailer here. Your turn! What movies (based on books) are you looking forward to? 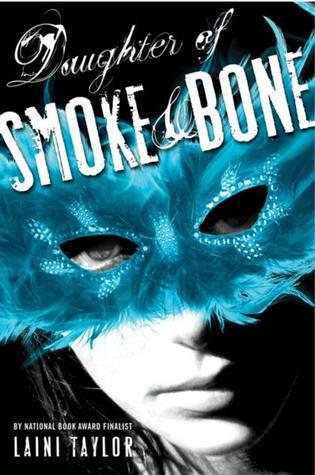 I’ve read The Daughter of Smoke and Bone three times. Well, technically I’ve read it once and listened to the audio book twice. But that totally counts, right? The first time I read it, I was on the edge of my seat, wondering what would happen next. Now that I know where the plot twists and turns, I just marvel at how well it was written. Karou is one of my favorite characters of all time. I love her personality, and all the little details that make up who she is. I love that she collects languages. I love her blue hair. I love how Karou always tells the truth with a wry smile instead of trying to keep track of lies. That might be my favorite piece of characterization ever. The world is so complete. You seem to relish describing the objects and places that Karou treasures: her tiny apartment, the wings spread above her bed, the wishbone, the ballet costume she gives to Zuzana. Each detail is vivid and drenched in meaning. I feel like the industry sometimes sacrifices beautiful writing and rich worldbuilding for high concept, fast-paced, sparsely written books that are easy to sell, that passion for language sometimes falls through the cracks. But this book is everything, and that gives me hope. Hope for both what I want to read and what I want to write. Thanks for that. Ps. 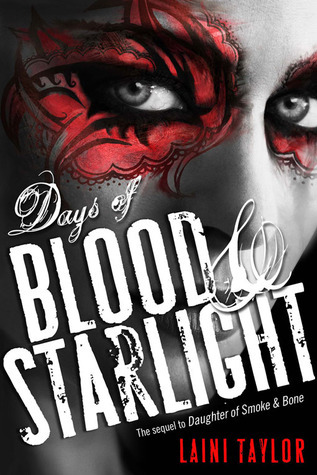 I’m about 130 pages into Days of Blood and Starlight, and I’m dreading running out of story and having to wait for the rest. No, this post isn't about that awesome BBC show (is it still going? *err, nevermind. that's Being Human), but it's about some books I've read recently that have excited my imagination. I'm not one for following trends, but I'm usually aware of what's new or popular. I find that I don't always trust something so fleeting. However, I really appreciate those books that find a way to ground themselves amidst the excitement of something new. The trend I speak of? Bionics, my friends. 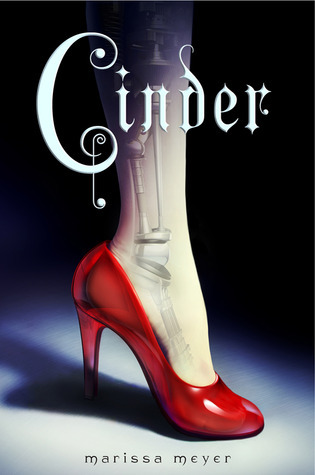 The first book that made me think of cyborgs in a really long time is also one of my favorite 2012 reads...Cinder by Marissa Meyer. 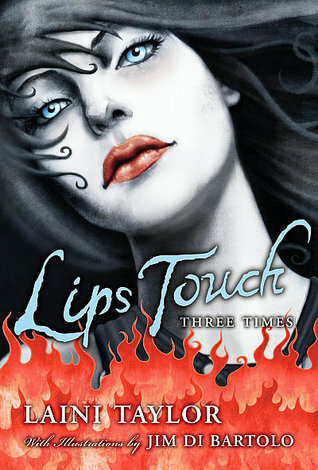 The hook for this story is off the charts--Cinder is the dirty princess we know so well, but she's also part machine. In particular, her leg that is attached to the "glass slipper." So clever. But this book is more than the sum of its parts. There is a seriously scary plague going around and lots of political backhandedness. But the thing that amazes me is how a character only part human (mostly human, in fact) makes me understand humanity just a little bit more. It's not always a pretty picture. This is why stories are told, right? 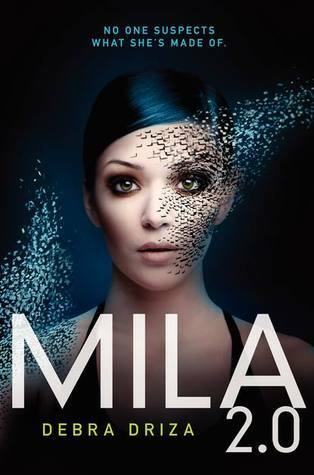 Then there's this little ARC I read called MILA 2.0 by Debra Driza. (Possible SPOILERS here) This book was so heart wrenching in a way that Cinder didn't have to be because Mila is not human at all. But she's lived her life thinking that she is a real girl. That contrast makes you root for her and feel for her in such a strong way as a result. It makes you ask the question: What IS human, anyway? Is it just biology or spirit? Or is it a real, ticking heart, and senses that make you feel? Is it our minds and personality? It's really complex and I love thinking out these sorts of themes. This book is going to be popular when it releases. It's a page-turner and it's a bit different than what's out there. Oh, and it's going to be a TV show from the creator of Grey's Anatomy. All good signs. Okay this last one is a cheat because it's not about being part machine or a cloned robot, but about a girl who is invisible. In a sense, I think the main character feels not quite human and learning to accept herself is a challenge when she doesn't even know what she looks like. It makes me ask the question, How much about our appearance makes us human? Shallow though it may seem, it's something that we are all concerned about at some point. We just get better at accepting ourselves for other qualities. 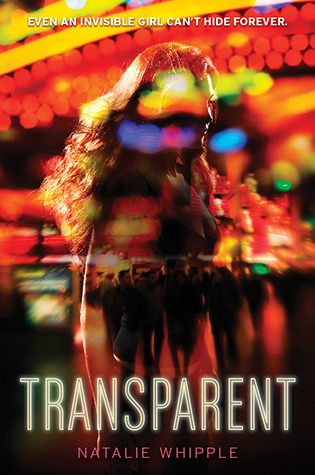 Transparent by Natalie Whipple was entertaining--even had me reading at the dinner table because I had to know what was going to happen next. I don't do that often, and it might be that I was just in the mood for this kind of story, but I'd like to give credit to the author. :). Her character work was fantastic--they're people who you'd want to hang out with and you'd definitely want on your side. It's another book with characters with superpowers (personally, I'm growing tired with this trend), but this one stands out from the rest. Hey publishers, We Heart YA would like a sequel! !